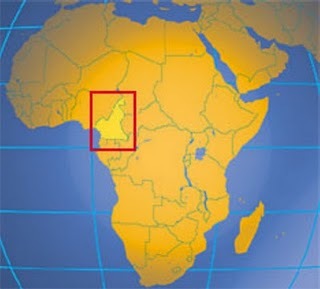 The Republic of Cameroon - as located on the map - is bordered by Nigeria to the west, Chad to the northeast, the Central African Republic to the East and Equatorial Guinea, Gabon and the Republic of Congo to the south. All the aforementioned neighboring countries (except Equatorial Guinea), and more than 30 African states have signed and ratified the Rome Statute of the International Criminal Court. The question at this point is - why has Cameroon not ratified the Rome Statute? The Rome Statute is a treaty that established the International Criminal Court (ICC). It entered into force in July 2002. As of 20 December 2009, 110 countries (UPDATE: 114 as of 12 October 2010) have ratified the Statute. But Cameroon - like other countries with questionable human rights records - is hesitant to ratify it. Ratification means States Parties recognize the jurisdiction, functions and structure of the International Criminal Court. Above all, ratification binds States Parties to the decisions of the court. It's worth mentioning that the court has jurisdiction only to crimes committed after the entry into force of the Rome Statute. The Rome Statute of the ICC was adopted by the UN General Assembly by a vote of 120 to 7, with 21 abstentions. The 7 countries that voted against, all have human rights concerns. All 7 countries have a record of human rights violations either at home or abroad. These countries include, the United States, Iraq, Israel, Libya, China, Qatar and Yemen. It is no secret why these countries voted against the creation of the ICC, but it's difficult to understand why Cameroon - which prides itself as a country that respects human rights and the rule of law - is hesitant to recognize the ICC. Does the government of Cameroon have skeletons in the closet? Would a government which has nothing up its sleeves hesitate to recognize the jurisdiction of a court designed to protect human rights? Remember, "if it looks like a duck, swims like a duck, and quacks like a duck, then it's probably a duck." Recommendations: Civil society organizations in Cameroon should take responsibility for promoting the Rome Statute to the public and the government should take steps to ratify the Statute as soon as possible.